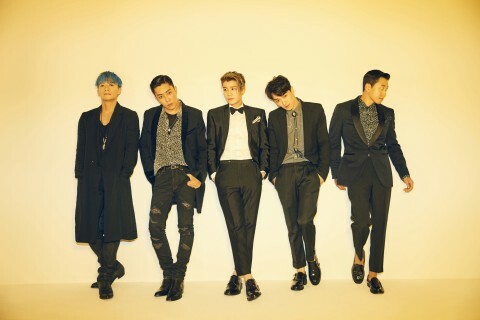 Sechs Kies will join the BOF One Asia Opening Performance at Busan Asiad Main Stadium at 5:20pm on October 1 (SAT). Psy, Girls Generation, CNBLUE, INFINITE, Block B, Bangtan Boys, B1A4, Apink, Girls Day, B.A.P, T-ARA, I.O.I, Lyn, LABOUM, and DIA will also join. BUSAN, SOUTH KOREA--(Korea Newswire) September 20, 2016 -- Korean Wave stars, old and new, from Sechs Kies to EXO, will be hitting Busan. The two groups, respectively, will join the opening and closing ceremonies of 2016 Busan One Asia Festival (BOF), a mega event for Korean Wave, which has gained the spotlight thanks to its strong celebrity lineup. BOF provides an opportunity for youth from Asia and around the world to enjoy all aspects of K-Culture, from K-Pop to K-Food and K-Beauty, and it will soon be established as one of Asia’s top festival. The festival will take place at several locations in Busan, including Asiad Main Stadium, from October 1 (SAT) to 23 (SUN). Sechs Kies will join the BOF One Asia Opening Performance, adding to the magnificent celebrity lineup, which includes Psy, Girls Generation, CNBLUE, INFINITE, Block B, Bangtan Boys, B1A4, Apink, Girl’s Day, B.A.P, T-ARA, I.O.I, Lyn, LABOUM, and DIA. Special guests, including Actress Lee Da-hae, Park Chan-ho, dubbed the “Korean Express” will also be on stage. The opening performance will be hosted at Busan Asiad Main Stadium at 5:20pm on October 1 (SAT). EXO will join One Asia Dream Concert, the closing concert of BOF, completing the ‘dream’ celebrity lineup, including SHINee, AOA, Bangtan Boys, TWICE, and GFRIEND. The closing performance will be hosted at Busan Asiad Main Stadium at 6pm on October 23 (SUN). Tickets for the opening concert and the closing concert are available no.. For more information on tickets, please visit the Hana Tour homepage (ticket.hanatour.com). Meanwhile, BOF, a festival linked to broadcasting, will present interactive content only viewable on TV, content including music, variety, and cooking shows that stimulate all five senses. Exotic experiences, such as attending a music show and experiencing popular variety shows, will be available for visitors to the festival. For more details, please visit the BOF official homepage (www.bof.or.kr) and the BOF Facebook page (facebook.com/BusanOneAsiaFestival).